I just traveled to Ireland. I was amazed to find that water sinks (at home, restaurants and public) have separate taps for hot and cold water. If you use only the cold water, your hands freeze. If you use only hot water, your hands burn. How do people use it? Is there tool at plumber shops to mix both of them (for my accommodation)? Plug the sink, pour the water and wash yourself in this water. I think this was how it was meant to be used when this system was first introduced years ago. You can mix it in any other container as well, depending on your needs. 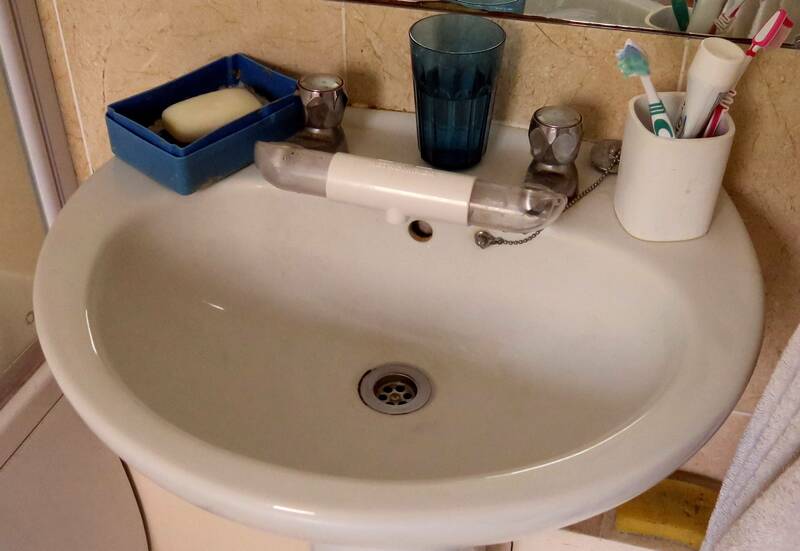 One potential downside to this method is that if the sink is not very clean you don't exactly want to be letting the presumably clean water sit in the basin. 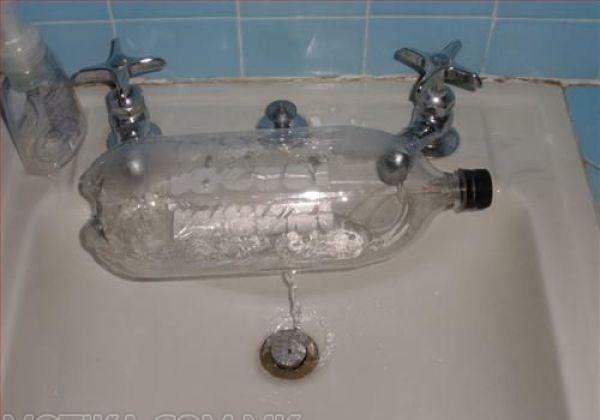 Why did these nations decide to use this system and why haven't they replaced it with mixer taps is a mystery to me. I just found this gr8 (well, not very great) workaround. . Didn't try it yet, but looks like it may work. The hot water used to come from a hot water storage tank, usually in the attic. The stagnant water in the tank isn't considered safe for drinking. That's why there has to be a separate system, all the way down to the taps, so it can't contaminate the safe cold water from the mains (should there ever be a pressure failure or some such). Even though water tanks aren't used that much anymore, old habits die hard. It's explained by Tom Scott in the YouTube series Things You Might Not Know. I (an Irish person) only recently found out that this was an oddity of our country. Separate taps are still pretty common in Australia though mixer taps are on the rise. What I usually do is check if the hot water is hot straight away. Usually it's not but I suppose this could depend on how the hot water is set up which may be different in Ireland. If the hot tap is not hot straight away I use the hot tap just on just a bit checking with my fingertips every second or so if it's warm enough yet. I usually have enough time to have a good wash before the heat gets too high. I am quite surprised at your question. 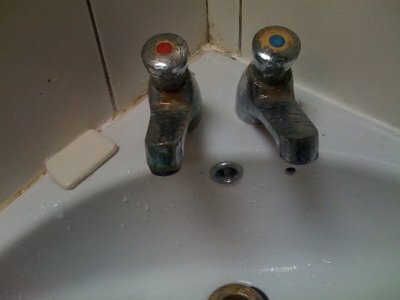 Here in the UK, two single taps, one for hot water and one for cold water are the normal arrangement. You put the plug in the sink and half fill it from one tap, then you run the other into it until you have the temperature of water you want...or you do what I do, which is wash under a running cold tap. I have recently started to use the Retromixer. It doesn't work extremely well but it's better than nothing. Whenever the water pressure is more than minimal, water tends to flow out along the top rather than the bottom. And where it does flow along the intended bottom, the mixing isn't very good; I get hot and cold water in rapid alteration in time and space. But it's a progress. It's rather small and easy to install, so in principle you could carry one around for usage in public places, but it's marketed for use at your own home. Not the answer you're looking for? Browse other questions tagged uk tips-and-tricks local-customs ireland hygiene or ask your own question.